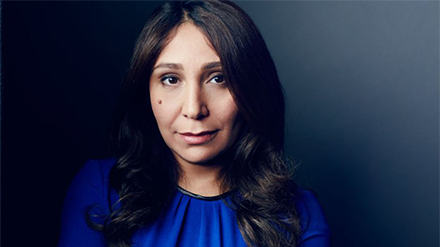 NEW YORK, NY – Haifaa Al Mansour, Film Director and Screenwriter, has been named the first recipient of the “Special Recognition” award at CineEurope. The award will be presented as part of the CineEurope Awards Ceremony hosted by the Coca-Cola Company on Thursday, 14 June, at the Centre Convencions Internacional Barcelona (CCIB) in Barcelona, Spain. Al Mansour is known as the first female director in Saudi Arabia. She began her film career with three shorts and is known for her the award-winning Wadjda (2012), which is about a young Saudi girl who wants to ride a bicycle in her country but isn’t allowed to. The film was the first feature length movie to be shot entirely in the conservative kingdom and was also the first production from the Saudi Arabia to be submitted for Academy Award deliberation in the Best Foreign Language Film category. In 2017, Al Mansour’s film Mary Shelley premiered at the Toronto International Film Festival and was her first English language film. In March 2018, Saudi Arabian authorities established the kingdom’s first ever film organization, the Saudi Film Council as a platform to encourage and develop creative talent in the country. An official statement has revealed that the first production to be supported by the film council will be none other than Haifa Al Mansour’s The Perfect Candidate. In 2018, she is one of 3 women on the board of the General Authority for Culture, who will supervise creative development in Saudi Arabia, following the lifting of it’s 35-year cinema ban last December.